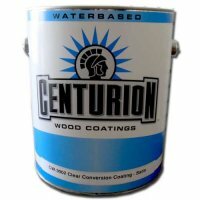 Our premium water based coating for high end furniture and wood products. 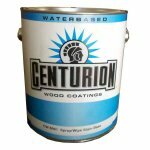 Based on a colorless, non-yellowing, urethane modified self-crosslinking acrylic dispersion. Used as both a sealer and a top coat, this multipurpose coating offers excellent chemical and humidity resistance, while offering outstanding sand-ability and fast drying. Fully cured films not only meet but exceed KCMA performance specifications. Additionally this coating has a been designed to have exceptional resistance to fatty acids, hand and body lotion as well as the natural skin oils know to degrade a finish. May be applied with conventional, HVLP, Airless or Air assisted airless equipment. DO NOT over thin; product should spray as supplied. IF reduction is necessary, use only water. 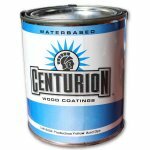 DO NOT apply when the coating or ambient temperature is below 50 degrees. Clean up wet materials and flush paint lines and spray guns and equipment lines with water. Clean up dried material with an active solvent. Sand base coat with 320 grit sand paper. May be applied over acrylic, nitrocellulose or UV base coats. 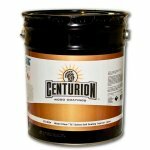 When use as a sealer, use 220 -320 grit sand paper or and equivalent abrasive between coats. 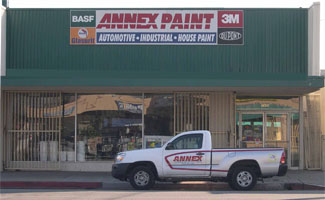 In certain applications, film properties can be improved with the addition of a reactive cross linker. Please consult the sales rep for more information on the matter. Available in flat,satin, semi gloss and gloss.